I work in the computer systems department of a large insurance company as a System Designer. This involves designing large software applications which will work in a complex technical environment. I also own a landscaping business with my sons and teach marketing at Illinois State University. MS Computer Science 2001, MBA 1989, MS Geography 1976. I was first licensed in 1969 while in high school and moved to London before college. That's where I first got interested in DX. My interests include technology, entrepreneurship, contesting, dxing, cw, vhf, and being very active on the HF bands. DXpeditions really excite me! I'm a member of the Society of Midwest Contesters (SMC). Look for my "Contesting on a Budget" articles in the NCJ. Tom was first licensed in 1957. He has had a radio within arm's reach ever since (although his amateur license did lapse for almost forty years). He loves the challenges of tight integration among radios, computers, and antenna systems. 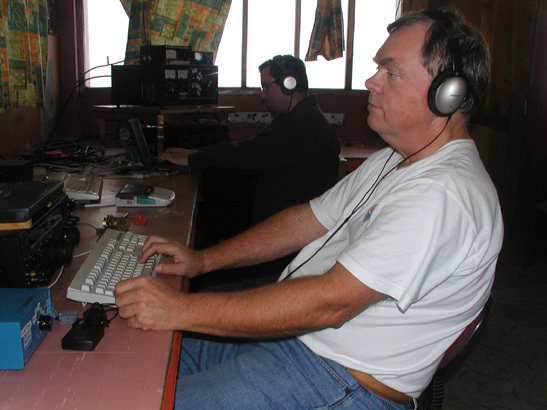 He is a member of competitive multi-op CW, SSB, and RTTY contesting teams at W6YX, W6OAT, K6IDX, and W7RN. He is busy making up for lost solar cycles by working all the DX he can hear, and he prays daily for more sunspots. Tom has admired antennas during his travels to 9M2, 9M8, 9V, BV, BY, C3, CT, DL, DU, E5, EA, EA6, EI, ES, F, FO, GD, GI, GJ, GM, GU, GW, HA, HB, HBØ, HL, HS, HV, I, JA, KH6, KL, LA, LX, OE, OH, OK, ON, OZ, PA, SM, SP, SV, TA, TF, VE, VK, VR, VU, XE, and YO. That said, he has been QRV only from K, UA1, UA9, BS7H and K4M. 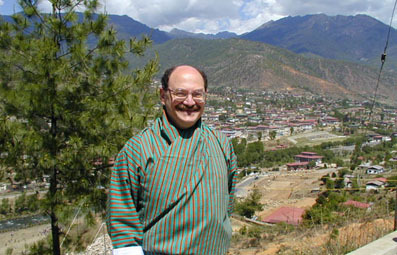 Tom is a past-President and Director of the Northern California Contest Club. 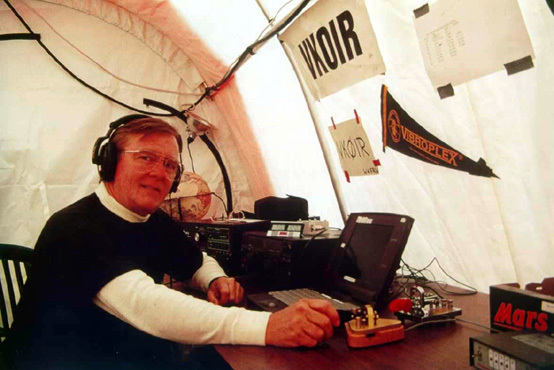 He is a member of the Northern California DX Foundation, the Mother Lode DX and Contest Club, The CW Operators' Club and the Stanford Amateur Radio Club. Tom is an expert in cryptology, information security, and information conflict. He runs a consulting outfit called Anagram Laboratories. James has been licensed since he was 12 years old. When he is not too overworked at his absurdly high-stress TV job he occasionally takes a break and goes somewhere really weird with his radio buddies. James likes to work DX (and contests) the old fashioned way, and thinks the Packet Cluster[tm] is the root of all evil. Skimmers too. 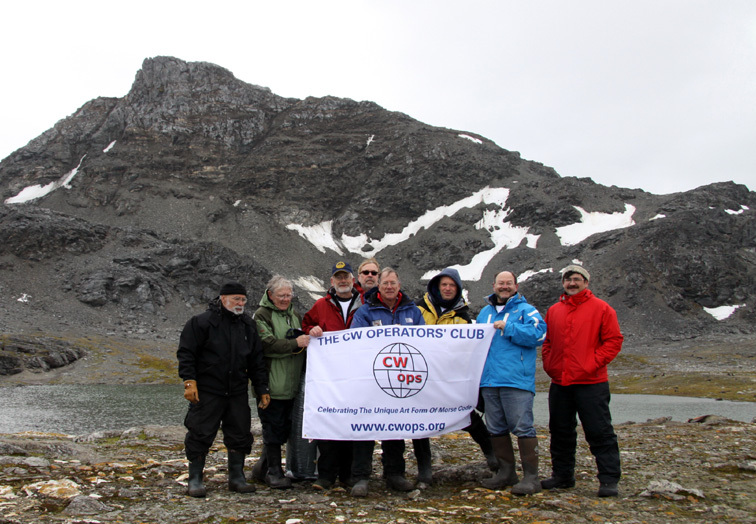 Member of The CW Operators' Club. He lives in Singapore with his YL, Lee Lian. They also share the house with a big brown dog, two turtles and a fish. They hope to retire to Scarborough Reef one day and open the island's first Chinese restaurant. Ralph has been licensed since 1961 and is an active DX'er and contester. 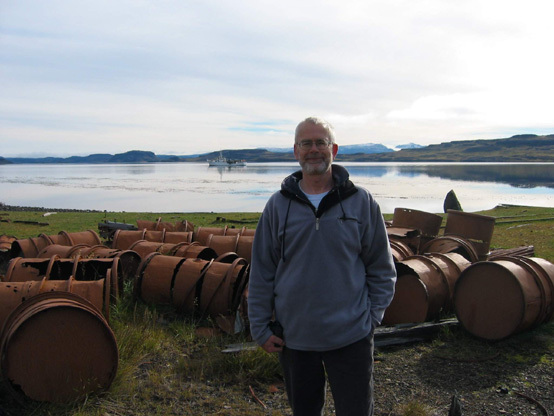 His previous DXpeditions include VP8SSI, VP8CBA, 3YØPI, XRØY, TOØR, VKØIR, VP8THU, VP8GEO, 3YØX K5D and PJ6A. He is a member of the NCDXF, The Twin Cities DX Assn., The Minnesota Wireless Assn., The Northern Minnesota DX Assn., The Southeastern DX Club, The CW Operators' Club, The St. Cloud Radio Club, and the A1 Operators Club. Ralph is a medical doctor and recently retired from the practice of radiology. 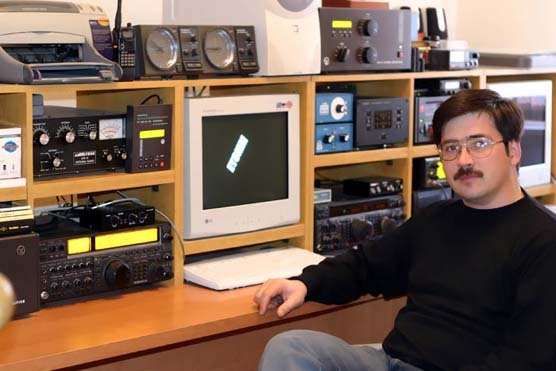 He was inducted into the CQ DX Hall of Fame in 2005. Don was first licensed in 1961. He holds DXCC Top of the Honor Roll on phone (357) and only needs P5 on CW. Previous operations include K4M, A61AD, A51DG, /KH9, /VP9, /VS6, /BV2, /4X and /9V. Memberships include NCDXF, YCCC and The CW Operators' Club. Don is President of Gulf Track Services which builds race tracks in the Arabian Gulf area. In 2005 Don was honored at Dayton by CQ Magazine by being inducted into the CQ DX Hall of Fame. Team member XRØY, VKØIR, A52A, VP8THU, VP8GEO, D68C, and FT5XO. Club member Southeasten DX Club (SEXC), Magnolia DXA, Chiltern DXC, Northern California DXF, North Fulton ARL. Enjoying two children and 4 grandchildren and especially traveling with the grandchildren's grandmother, Bev, my bride of 48 years. Life is good! Licensed in 1956, grew up in Minnesota, moved to California 40 years ago. Also holds callsign OHØZZ. Member of VK9LZ and HV4NAC dxpeditions. Operator at OHØR, OH9A, W3LPL, KC1XX, K3LR, N6RO, HC8N, KL7RA, HC8GR. NCDXF board member, CQWW Committee member, former director CQWW WPX Contest. US fund-raiser and referee for WRTC 2002 in Helsinki. 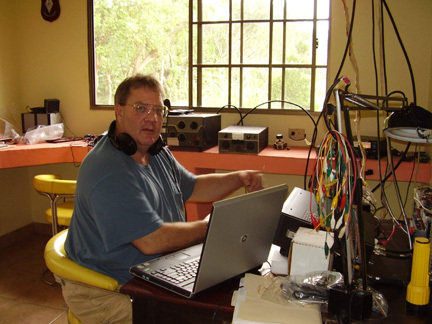 Member of the team building a large radio station (HC8N) in the Galapagos since 1998. Really enjoys operating the radio. Mike got his first ham license at age 11, which probably saved his life by temporarily distracting him from trying to build rockets (real ones, made from steel and aluminum and containing various dangerous propellant mixtures). He was clueless about ham radio (some say he still is) and lost interest in it for a while especially after he discovered girls and cars. The radio passion sprouted again after high school and eventually bore fruit at The Ohio State University (a BSEE degree). Along the way he met some incredible hams including his favorite Ohio State professor, W8JK (sk). 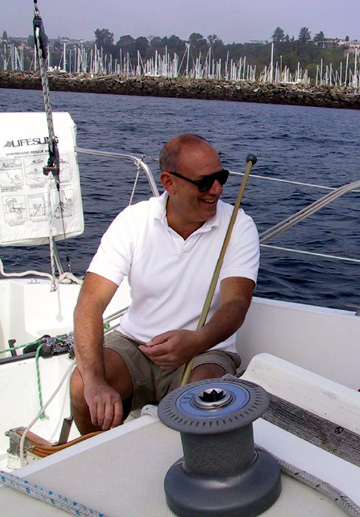 N6MZ's current passions are travel, sailing, and opera and he has a lot more time for all of them after recently completing #1 Honor Roll and 9BDXCC. He loves DXpeditioning and has been a team member on K5D, BS7H, ZL8R, VP5W, FT5XO, XRØX, 9M6OO, KH9/N6MZ, ZK1XXP, VKØIR, FT5XM, TOØR, and SV5/N6MZ. 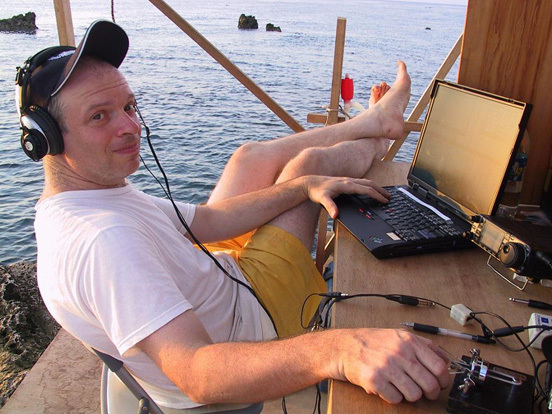 George's previous Dxpeditions include 3YØX and K5D. 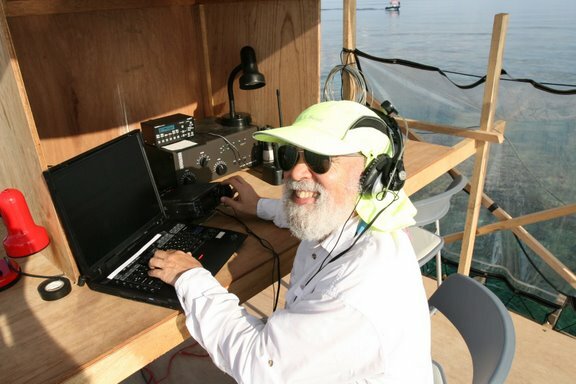 George operated in two ARRL International MM Contest that placed first with one establishing a new South American record. George has operated from TI5, PJ2, XR9, PJ6, and LU8. Memberships include SEDXC, HARC, NCDXF, ARLHS, & INDEXA. George was interested in Amateur Radio in the 1960's but was not licensed until 2002 due to his extensive involvement with spelunking and rock climbing during school years, then starting a construction business immediately after college in 1969. George is licensed also as VE1GRN in Nova Scotia where he and his XYL Kim have a home. They enjoy spending several months a year in Lockeport, Nova Scotia. Kim was born in Lerwick Shetland, UK then grew up in Sept Iles, Quebec. George was born in Union Springs Alabama and spent his school years in Atlanta. George owns a Commercial General Contracting & Electrical Company in Atlanta with his two sons George and Michael Shawn. 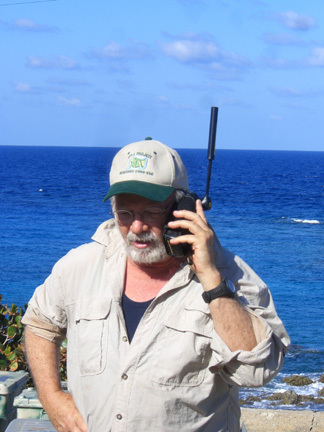 Jerry is a veteran of K5D Desecheo, 9MØM Spratly Islands, VK9XX Christmas Island, VK9YY Cocos Keeling and numerous contest expeditions in the Caribbean. Jerry is a long time operator at PJ2T and a member of the Caribbean Contest Consortium. 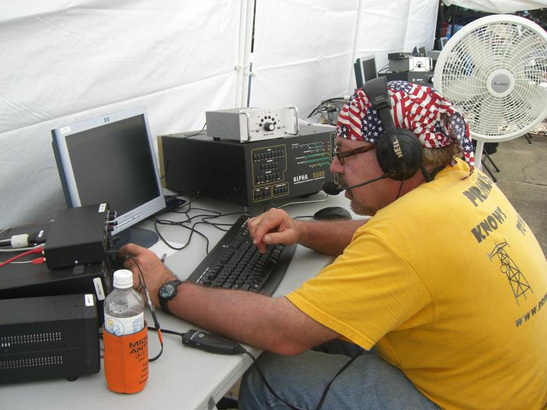 Licensed since 1971 he enjoys contesting and DXing from a large 10 tower antenna farm in Illinois, confirming 304 countries on 160 meters, 325 on 80 meters and over 2,700 band countries for the DXCC Challenge. Professionally, Jerry owns, manages, and maintains cellular and broadcast towers & antenna systems all over the USA Midwest..
Lew has been casting RF into the atmosphere legally since 1973. Along the way he has dabbled in contesting and station building. 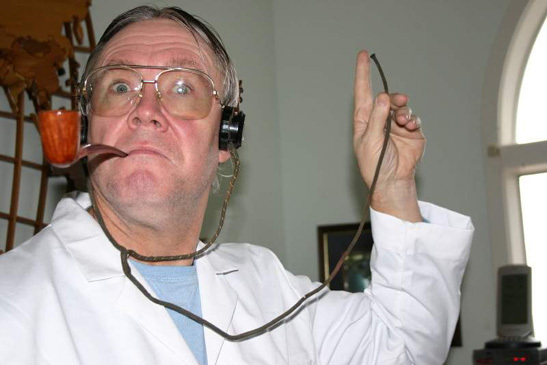 W7EW belongs to a few radio clubs but notes that the most intriguing club membership is The Boring Amateur Radio Club where annually 100+ members put on The Stew Perry TopBand Dx Challenge. Over the past 10 years, W7EW and several RF addicted cohorts have gone to several places where you can't reach by driving, flying or walking, to make available rare countries for the deserving. If you're reading this you've probably worked one or more of these rare spots and with any combination of luck, skill, perseverance, guile and cunning you'll work us while we're on The South Orkney Islands. Radio South Orkney will be fun, but W7EW understands the local golf course there is a difficult layout with some very demanding water obstacles. Personally W7EW enjoys travelling with his wife Debra and visiting with their grown sons and families. Professionally Lew is an emergency medicine physician practicing for over 30 years in the states busiest emergency department. When medicine is no longer fun, then W7EW and Debra will look for a salty waterfront with good take off toward EU and retire. Born in Montreal in 1955. Licensed as VE3AKG in 1972 while living in the Niagara Falls area. Moved to Alberta in 1979 and acquired the call VE6OU. Returned to Ontario in 1985. Active contester and DX’er. Participant in 4 WRTC competitions with partner Jim, VE7ZO. 5th WRTC participation to come in July 2010 in Moscow. 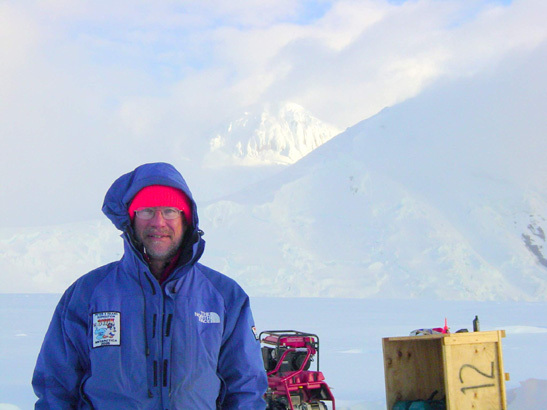 Team member of 2005 FT5XO and 2002 VP8THU / VP8GEO Micro-Lite expeditions. Past operations from PA9YI, 8P9EJ, VE3EJ/HC8, VE3EJ/HC1, VE3EJ/OH, VE3EJ/S5, VE3EJ/PP5, VE3EJ/ZS5 & VP8DEJ. Operator at PE2EVO, HC8N, A61AJ, 9K2HN, K3LR, KC1XX & VP2E. Semi retired from Broadcast Industry and currently consulting on a part time basis. Anxious to be 9V1YC’s first customer at his BS7 restaurant and grateful to have W7EW on my contact list should there be complications. First qso made using club station call UK8JBD back in 1979. UJ8JMM since April 1984. EY8MM since 1994. Special call stations/expeditions: EK8R (1981), RJ8WCY (1983), RJ6K (1984), EU9J (1985), RJØJ (1991), RJ2S (1991), RJ4X (1991), RJ5R (1991), YA1MM (1992), YA5MM (1992), DL/EY8MM (1994), EY7ØD (1994), UN7/EY8MM (1997), HSØ/EY8MM (1997), EY11OO (1999), EY1ARP (2001), EY1ØT (2001), EY9ØMT (2001), EY2ARP (2002), D44TT (2002), D4B (CQ WW RTTY 2003), EYØR, NØDIR/AM, TA4/NØDIR, KH6/NØDIR, MU/NØDIR. Guest operator: VK3ER (1997), E22AAA (1997), A61AF (2000), A61AO (2000), D44AC (2002). 5BWAZ, 5BDXCC, 5BWAS, DXCC Honor Roll #1, WAZ 160, WAS 160, DXCC (160 - 6 m).